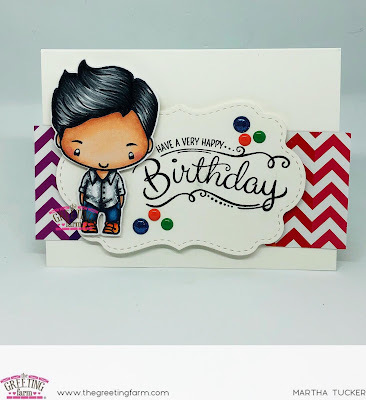 Today I have a masculine Birthday Card for you featuring Buddy Ian! I love Using The Greeting Farm Stamps for Masculine Cards! Way cool…. He’s King of the birthdays!